Please complete the form below by 24th March. Shortlisted applicants will be contacted soon after that to be invited for interview, provisionally on Thursday 29th March. The flat will be available from 7th May, so in order to be able to give notice the successful applicant will be advised no later than Thursday 5th April. 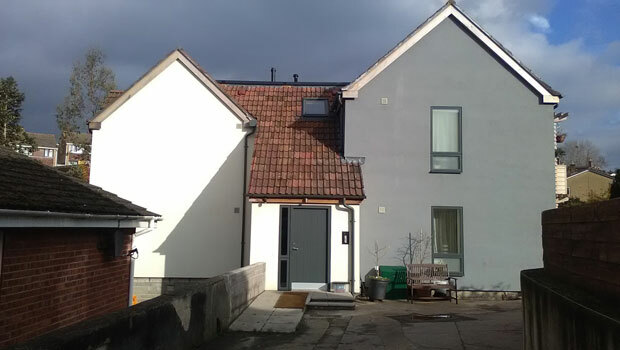 AEOB is a not-for-profit housing organisation which currently operates one affordable housing property in the St George area of Bristol. You can find out more on our About Us page. The property contains 6 flats plus a common room, laundry and outside spaces, including parking, which are shared by all. 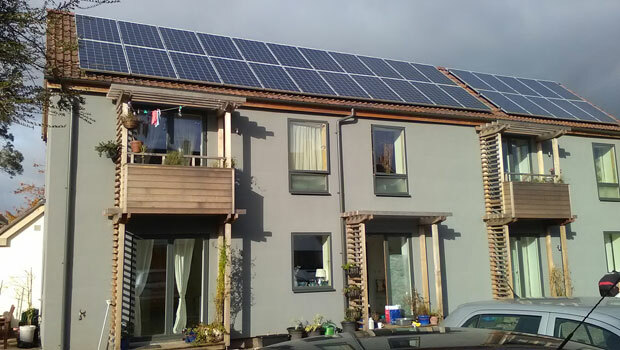 It is well insulated with solar panels, efficient plumbing and electrical installations and underfloor heating throughout. The property is managed by AEOB in a friendly and respectful way, and the tenants have formed a co-operative to co-ordinate day to day operation of the building. It is on a quiet street within walking distance of local shops, Hanham high street, two park areas, three primary schools (Air Balloon, Two Mile Hill & Christ Church Hanham CofE) and two secondary schools (John Cabot Academy & Hanham Woods Academy). 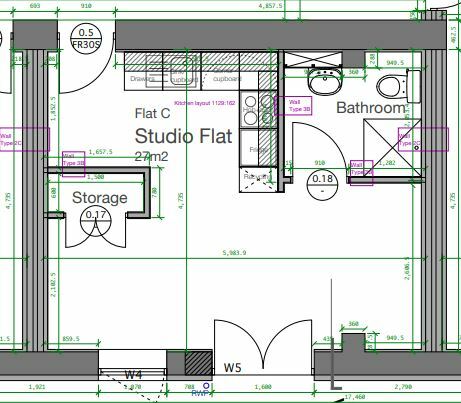 Flat C is a ground floor studio flat facing on to the yard. The layout is shown below. Not to operate any trade or business at or from the property, without written consent from AEOB and agreement from tenants management organization.